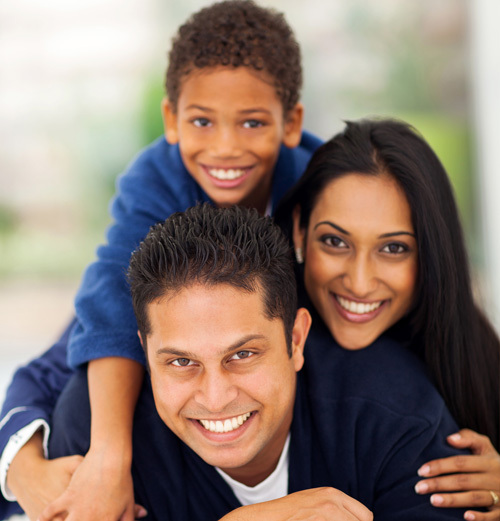 At Muntwyler Dentistry, we’re proud to offer comprehensive dentistry in Etobicoke to patients of all ages. Drs. Trevor and Monica Muntwyler and their team treat all patients – from toddlers, to senior citizens. We offer personalized care reflecting your specific needs. Whatever dental services your family are in need of today, we have the skill, experience and technology necessary to help you to achieve the best results possible. Whatever your dental needs we promise a comfortable and positive experience for you and your family. We are not only focused on the beauty of your smile, we are also concerned about your overall health. Occasionally patients require specialized care to treat a particular issue. For these situations we may refer a patient for specific treatment to a specialist. The Doctors work closely with a trusted team of dental specialists in the Toronto area to support our patients’ needs. Along with providing quality personalized dental care designed to restore and enhance your natural smile, we are also committed to better educating our patients about tooth, mouth and gum care.